When I was young my grandparents took my brother, sister and me on a road trip from our home in the Victor Valley, California to their home in New Mexico, spending a night in Laughlin, Nevada on the way. 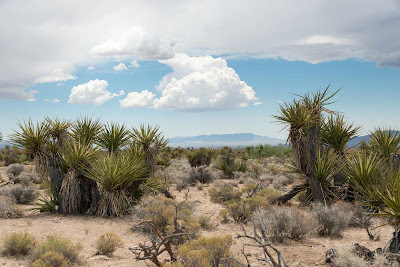 My exposure to the desert up until then was limited to the parcels of undeveloped private land scattered across the Victor Valley and surrounding its edges where my brother and I would play, spending most of our time in a 90 acre plot across the street from our home. At the time, that corner of the desert seemed to offer endless opportunity for exploration, riding our bikes, finding lizards, identifying different wildflowers and insects, before even that lot was bulldozed for a new housing development.